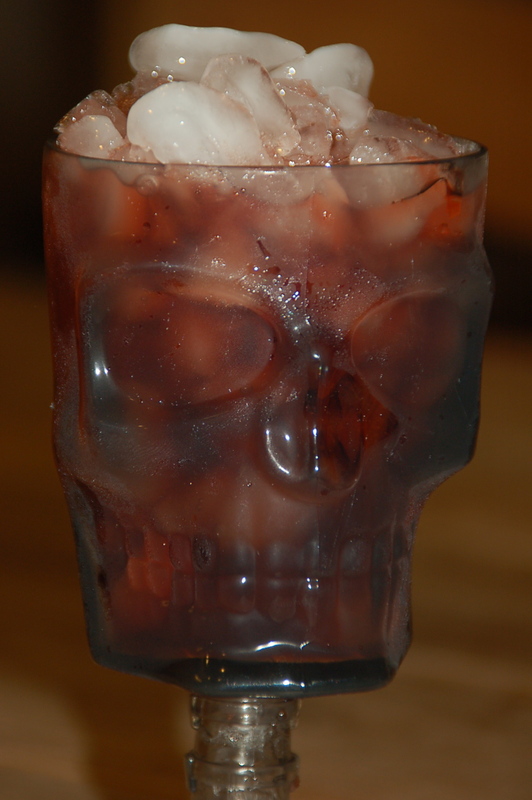 This drink doesn't have to be served in a skull cup, but when other than Halloween will you have a chance to use one? I purchased mine from Party City for $2.99 a piece. The Skyy should be easy to find but I picked up the Blk Black Water from BevMo. 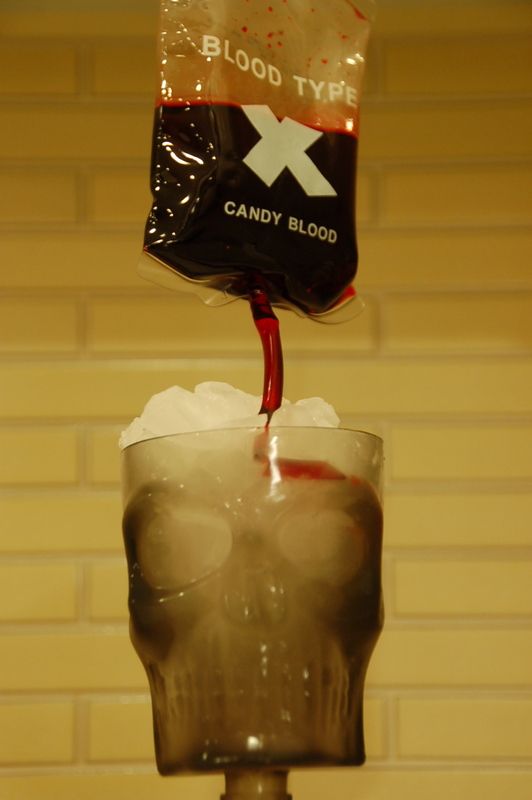 The candy blood was purchased at the supermarket in the Halloween candy section. In a shaker, combine the ingredients. Shake until the syrupy candy blood is well diluted. It's very intense so add more black water to your cocktail if you don't it to over power the vodka. Strain the liquids into a glass with ice and serve (with a cackle).